If the sound of fireworks or thunderstorms sends your dog scrambling to leap into your lap or cower under a bed, your pup’s not alone. With their keen sense of hearing, loud noises can be overwhelming for most dogs, leaving them pacing the floor, panting or trembling with fear. Some dogs may even urinate on the floor or become destructive while trying to escape from a crate or a room. Dogs and fireworks aren’t a good combination. As a matter of fact, July 5th is one of the busiest days of the year for many animal shelters as they work to reunite lost pets that have run away after hearing the loud booms from fireworks. With Independence Day less than a week away, here are some tips to help your dog cope with the noise and stay calm. Dogs are masters of picking up on our feelings and body language and they often analyze our reaction to loud noises. Stay calm and relaxed, even if your dog gets nervous. I try to go about my business as usual, pretending I don’t even hear the sounds, and it seems to send a message to Haley that there’s no reason to be overly concerned about the noises outside. If your dog gets scared, it’s okay to pet and reassure them, but try not to fuss over them or act anxious yourself. Make sure your dog gets plenty of exercise earlier in the day. A tired dog has less energy to react physically to noise-related anxiety and you may notice a considerable improvement in their reaction to the fireworks. Take your dog outside for a bathroom break before the fireworks begin. 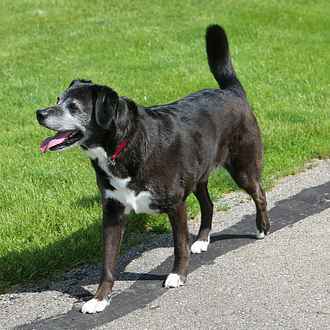 It’s a good idea to keep your dog leashed, since some dogs have been known to break through fences after hearing loud, unexpected noises. You never know when a neighbor might set off a pack of firecrackers too. Make sure your dog’s wearing their collar with ID, even if they’ve been microchipped. For very nervous dogs, keep them in a crate or small room with the blinds closed and lights turned on. It’s crazy to think that some dogs have jumped through windows to escape the noise, so find the safest place in your home where your dog feels most comfortable. Before the fireworks begin and while your dog is relaxed, turn on the TV or play music to help drown out the noise. If you turn up the volume, do it gradually. 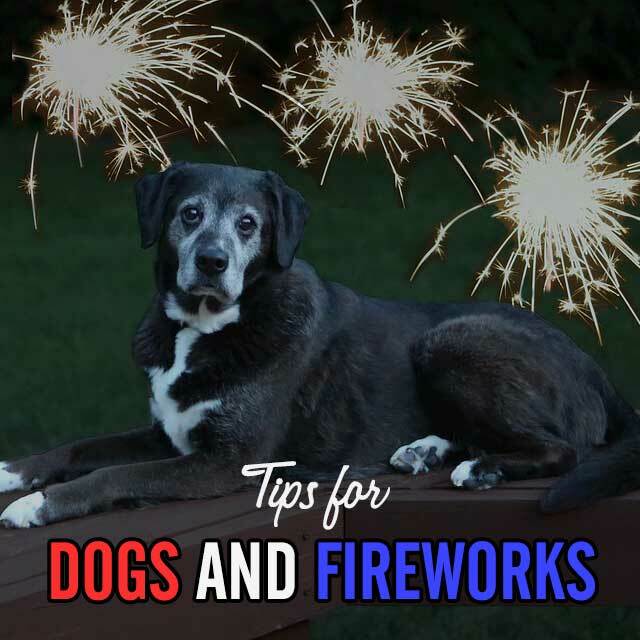 It’s a good idea to do this at other times as well, so your dog doesn’t associate the louder volume with fireworks or storms. 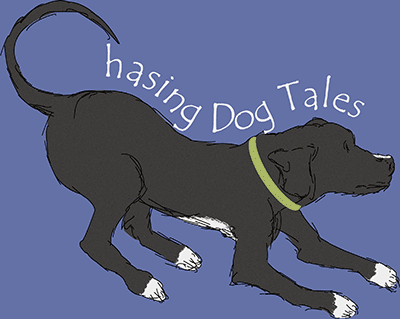 You can also purchase a music CD created specifically to help dogs relax from the Through a Dog’s Ear website. Food-stuffed Kongs, treat dispensing toys or meaty bones can be a positive distraction that also help your dog associate good things with loud noises. When Haley was a puppy, I always started a play session when storms were brewing to help her associate something fun with the sound of thunder. You can work on training new commands or playing a game of Find It. Any positive distraction your dog likes can be helpful. Lots of dogs have been helped by the ThunderShirt. It’s a vest that puts gentle pressure on your dog to create a sense of calm, much like swaddling a baby. Here’s a DIY version you can use in a pinch. Tryptophan and melatonin both have calming effects on dogs, as well as flower-based products such as Rescue Remedy. Check with your vet or a holistic vet for recommendations and the correct dosage for your dog. Several products on the market use synthetic versions of dog appeasing pheromones (DAPs) which simulate the pheromone produced by female dogs used to comfort their puppies. These products can help adult dogs relax and they come in several forms: sprays, collars and plug-in diffusers. Adaptil is a popular brand that make all three types. If petting or belly rubs help your dog relax, give them a calming massage when the fireworks begin. You can take your skills to a whole new level by learning TTouch, Reiki or Doga (yoga with dogs). Some people prefer to board their pets over the Fourth of July to remove them entirely from an environment with fireworks. This might be a good option if you’re going to be away from home or for dogs with extreme noise anxiety. Do something different this year and take your dog on a hike somewhere away from all the firework celebrations. We’ve done this a few times and really enjoyed doing something new on the holiday. For dogs with severe noise anxiety, drugs may sometimes be the best option. Never give human-grade sedatives or medications before consulting with your vet. It’s also worth consulting with a holistic vet who may be able to offer alternative or natural remedies with fewer side effects. “Ace” or Acepromazine is sometimes prescribed as a sedative for dogs, but as Dr. Marty Becker’s article describes, it may make your dog’s noise phobia even worse. Zoetis has just come out with a new medication called Sileo which is a non-sedative, calming gel placed between a dog’s cheek and gum. But since it’s new, I haven’t read a lot of feedback yet about its safety or effectiveness. This is the process of slowly exposing your dog to louder noises over time. You can record the sound of fireworks or buy a pre-recorded CD like one of these from Victoria Stilwell’s Canine Noise Phobia Series. Start playing the sound at a very low volume and slowly increase the volume over time. If an increase causes a fearful reaction in your dog, go back a level and work a little slower. As your dog progresses through the various levels, reward him with a few treats when he’s calm. Best when combined with desensitizing, counter-conditioning trains your dog to do something else or have a different reaction when they would normally have a fearful response to sound. A common way to retrain the response is by giving food or treats when the noise occurs. Simply carry some small treats in your pocket during this time of year to instantly reward your pup when they hear loud noises. You can also use toys or playtime like I mentioned earlier; I’m so glad I taught Haley to associate storms and the sound of thunder with playing tug-of-war or fetch. The Fourth of July or any holiday with fireworks or noisemakers doesn’t have to be stressful for you and your pup. While planning your BBQ cookout, don’t forget to plan ahead for the best way to keep your dog calm and relaxed. What are your tips for dogs and fireworks? Share them with us in a comment below! Thanks, Kari. ? Have a wonderful Fourth of July! Yes, New Year’s Eve can get pretty noisy too. When I was growing up in Pittsburgh, PA. they used to bang metal spoons on pots and pans. Haley would think we were nuts if we did that, lol! ? Hershey is oblivious to fireworks, Graham seems a little bothered. Marsha needs to snuggle under the covers to feel safe. I don’t know if “fortunately” is the right word but we’ve had some idiot setting off fireworks around here for WEEKS, and the dogs have gotten used to it. This year, like all the others since I’ve had dogs, I’m going to get the herd into the bedroom, close the door, snuggle and read, maybe while playing some music to mask the noise. That sounds like a good plan for the gang, Erik! I like how you said “fortunately” for the person setting off fireworks. It can be annoying, but also a good opportunity to train and do some counter-conditioning. What an informative, amazing list of tips! Thank you, Morgan. I haven’t tried the pheromones myself since Haley’s pretty good about handling loud noises, but it’s interesting that they work well for some dogs. Aw, I’m sorry that Sherm has it rough during this time of year. It sounds like a fun laundry room party though. I would probably hang out in there with a TV or my laptop and have some snacks of my own too, haha! ? It’s also my favorite spot during the 4th! Have a great holiday weekend. Wonderful! There’s always something to learn from our fellow bloggers, even if we write about the same topic. I’ll be sure to stop by on Monday and check out your post! ?? I think I hate fireworks more than my two do. I jump at every sound, while they only go off at the big ones. Last year, instead of trying to drown out noises with quiet music, we watched an action flick with exploding cars and gunfire. Everyone got through the ‘works that way…. Even me! That’s a perfect idea, Jean! Much better than you having to exercise earlier in the day in order to relax, haha! ? Fantastic! We can use all the tips and ideas we can get for our pets with noise phobias. I’ll stop over and check out your post, Linda. ? I’m hoping Sileo turns out to be a good alternative too. I guess time will tell. I always like to wait awhile when a new drug or parasite control medication comes out to see the feedback first. Bentley HATES fireworks. We use an all-natural Relax and this year, we are adding a new device that we received at BlogPaws. Paws crossed for a fear-free night. Aw, poor Bentley. I hope this year goes better for him; you’ll have to let us know how the new device works. Great tips and reminders for folks. It’s scray how many dogs go missing. Since we live close enough to hear the Sea World fireworks every night in the summer (really wish they didn’t do them every single day of the summer! ), Rita is used to fireworks noise so generally July 4th isn’t too big of a deal for her. Hopefully it will be that way this year too! It sounds like Rita’s a pro at this fireworks stuff. I guess that’s one good thing about hearing them all summer long. ? I think these are some of the best tips I have read especially the sound masking and checking our own attitude. Ruby has many fears, but fortunately she’s not bothered by firecrackers. She probably would be if she were outside and alone, but as long as she’s inside with us she is OK. She’s very tuned into my moods and this was a nice remember that I need to pay attention to the messages I’m sending her. I’m glad Ruby’s all set for the Fourth! It’s hard sometimes to not react. We had a really close lightning strike the other night and that was a rough one to pretend I didn’t hear, haha! This may be the best article I’ve read on dogs and fireworks, thank you Elaine! Great tips, sharing with every dog parent I know! Aw…thanks so much, Camille! ? That’s so nice of you to share the post and I hope you have a wonderful Fourth! ? Great tips, I hope everyone has a safe holiday weekend. My gang is good with noises as I am thankful for that. That should have been one of my tips, JoAnn! Have a hunting dog that’s used to guns and loud noises come over and hang out to help your dog relax, haha. Have a great Fourth too! ?? Distractions work really well with Haley. She rarely gets that scared that we can’t get her interested in a treat or playing. Have a wonderful holiday weekend! ? We’re doing a combination of supplements, meds and a wrap this year. It sounds like Mr. N is going to be in great shape! I’m glad you’ve discovered what helps him stay calm. Though I saw it a bit too late, great advice! I think medication should probably be the last resort, “Desensitization” and “Counter-Conditioning” are really great tips. Thank you, Sarah! I agree, I would always choose medication as a last resort too. Thanks for stopping by today. ? Your tip about doing something different (11) is brilliant. 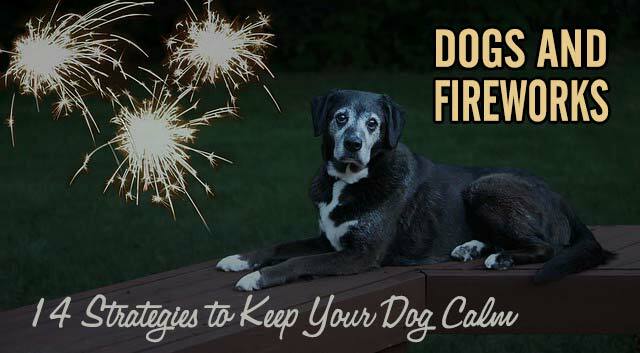 Many of us spend so much time worrying about how to keep our dog calm in our own home when our neighbors are lighting off fireworks, while some of us at least could easily go somewhere else. I’d never really considered that before. My dad lives in a super rural area, so if Laika ever has a problem with the 4th of July we can just go hang out there. That would be perfect if you ever need to escape the chaos, but I’m glad Laika isn’t bothered by the fireworks. ? These were all great tips. I run the air conditioning and settle in one room with Sampson. I try not to get rattled when I hear a loud boom and pretend like it’s a normal thing. If he’s super upset and looks to me, then I will comfort him. I’m using a new chew with him that has L-Tryptophan, L-Theanine and Colostrum in it and it has made a world of difference for him. He never flinched this year! The chew sounds interesting. Who makes it? It sounds like it worked really well for Sampson. ?? I really like the DIY option for a thundershirt, I think that a lot of people have ACE bandage or could throw something similar together in a pinch! Thanks, Dean! I’m glad you found the post helpful. In some areas, New Years Eve might be even worse for dogs than the Fourth of July. Thanks for stopping by the blog and I enjoyed checking out your site today as well! This is a great post and very informative! Thank you, Cryss! I’m so glad you found it helpful.? This is a great article, I will certainly try this tip. I have a Shih Tzu and every year when there are fire works, it hides under the bed, so this tips will certainly help me. Thanks so much, Donna! I hope the tips work well next Fourth of July.? Thanks so much, Kevin! It’s almost that time of year with the Fourth of July coming up soon. This is a really cool article! Thanks for sharing.